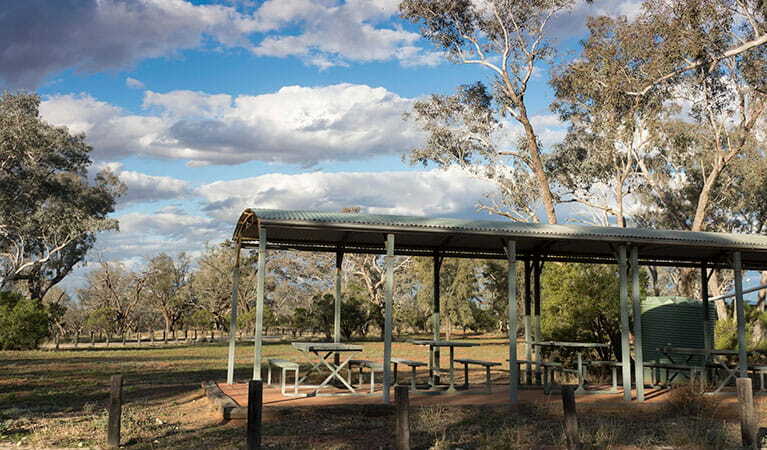 Remote Yanda campground offers caravan camping with fishing and paddling on the Darling River in Gundabooka National Park, near Bourke in outback NSW. $6 per adult per night. $3.50 per child per night. This campground is suitable for groups. This park or attraction is in a remote location, so please ensure you’re well-prepared, bring appropriate clothing and equipment and advise a family member or friend of your travel plans. Check the weather before you set out as the road to Yanda campground can become boggy when it rains. 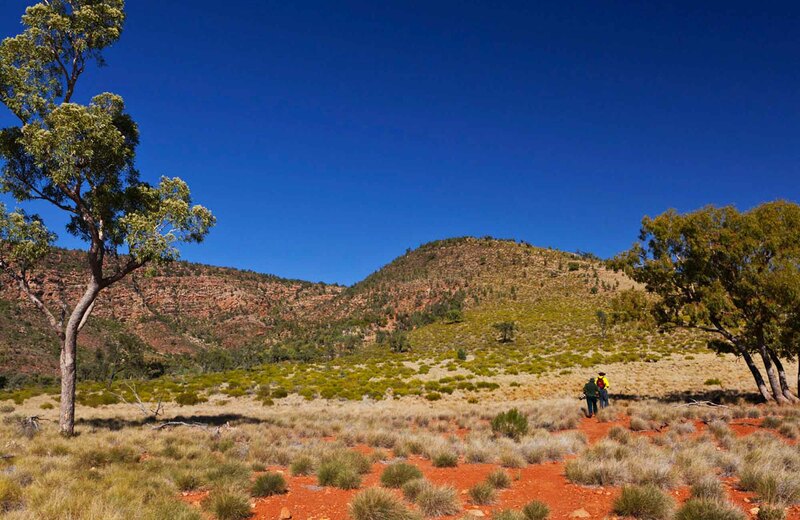 When you’re hankering to get away from it all, Yanda campground in Gundabooka National Park might just be the remote Outback adventure you’ve been dreaming of. 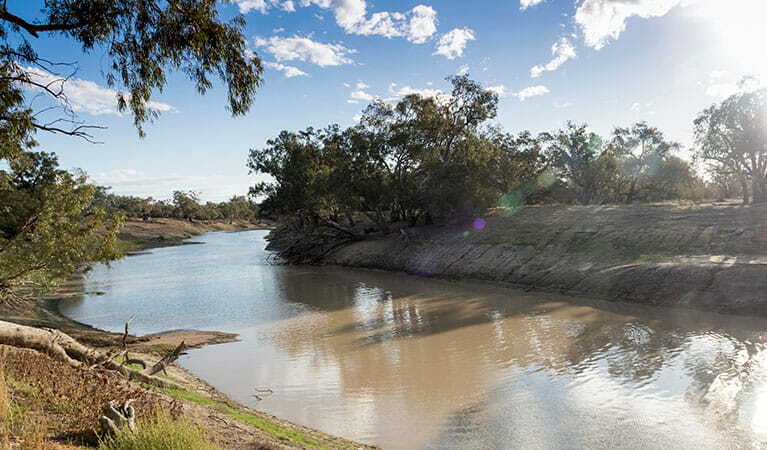 Nestled on the banks of the Darling River, this remote campground is perfect for self-sufficient campers who yearn to explore the beauty of the Darling River in outback NSW, near Bourke. Arriving at the riverside campground, choose your spot to pitch the tent or park the caravan. The majestic river red gums provide a shady spot to relax and let the world drift by. Throw in a fishing line or bring a boat for a relaxing paddle down the river. As the sun sinks, barbecue your catch and be serenaded by the sounds of the bush. Grab a torch for the chance to glimpse the pied bats and yellow-bellied sheathtail bats. If you’re lucky, you might catch sight of the endangered Kultarr, a mouse-sized nocturnal hunter. 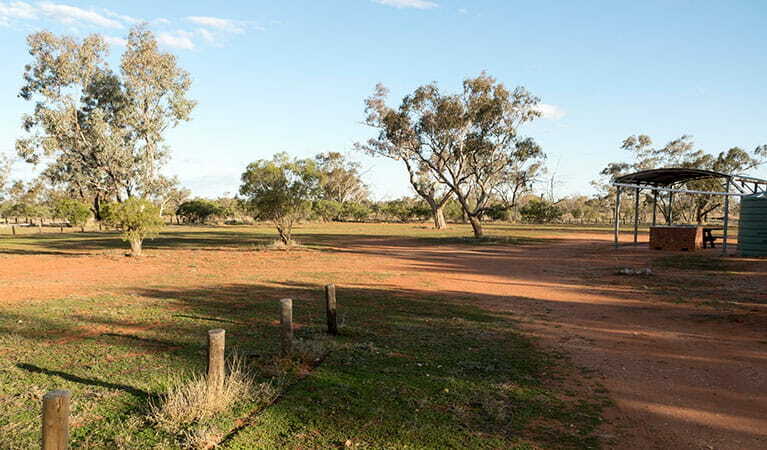 Take a virtual tour of Yanda campground captured with Google Street View Trekker.